This recreational ground is provided with a sidewalks and a view deck, where you can enjoy the panoramic scenery of the sea around Tokashiki Island, Tokashiku Beach, and Aharen Beach. Walking for about 1.5 kilometers through the Aharen Promenade from Teruyama, you can see the full bloom of Tsutsuji (Azalea). It blooms in February, and is distributed in the Japanese Archipelago, the Korean Peninsula, China, Taiwan, Okinawa Island, Kerama Islands, Ishigaki & Iriomote Islands, and Kume Island. Especially in Ryukyu Islands a lot of famous Tsutsujis such as Sakishima Tsutsuji or Sakura Tsutsuji grow. There are some observation towers around the Tsutsuji trees in Tokashiki Island, where you can enjoy this beautiful natural view. This recreational ground is located in the southernmost part of Tokashiki Island, being provided with a sidewalks and a view deck. From this recreational ground, you can enjoy a view of a beautiful white coral sand beach as well as the transparent sea. Commemorating the Okinawa's reversion to Japanese administration on 15 May 1972, this facility was built on Tokashiki Island as a symbol of peaceful use of old US military bases. 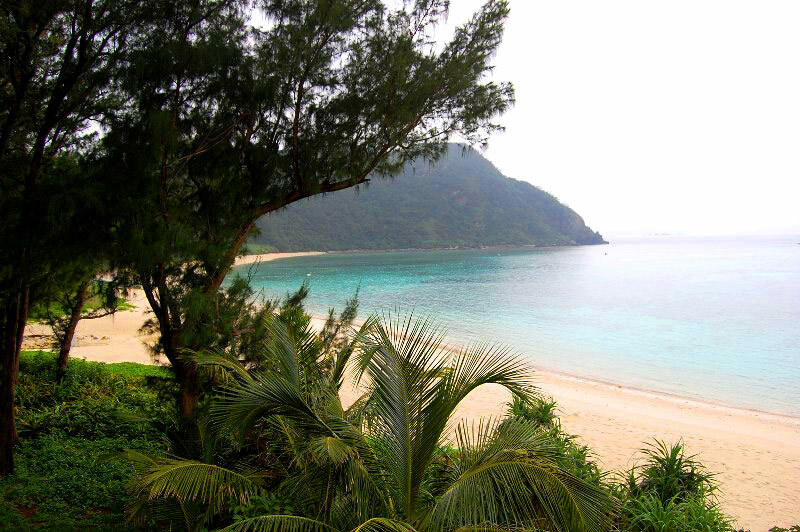 Hanari Island is located in the East China Sea, and belongs to the Kerama Archipeligo in the Okinawa Archipeligo. The area is about .0917 square km. In the south of Aharen Village there is Aharen Beach, and it is surrounded by a lot of mysterious stones and rocks which were formed by wind and rain. Tokashiku Beach can be found roughly in the center of the western part of Tokashiki Island. It is a great spot for those wishing to spend time leisurely in a fairly quiet environment. A Sabani Boat Berthing at the Harbor Tokashiki Island floats on the East China Sea, 32 km west of Naha. Coral Fences Remain on the Island Tokashiki Island has a tragic history of war that burned the entire island, including houses and mountains, wherein 329 inhabitants committed mass suicide.